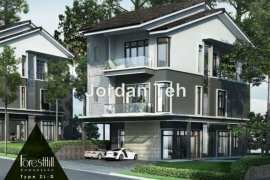 Property Description HOT SALE NEW LAUNCH PROJECT AT SEN.
Property Description Forest Hill Damansara 3Storey Vill. Property Description Exclusive Semi-D for SALE..!! -Ren. Property Description 3sty Semi-D for SALE..!! Type B -P.
Property Description == NEW 3 STOREY LINK VillaS == ++. Property Description Cristal Residence Cyberjaya 1302sq. Property Description Factory La & Bu : Got 2 units. Property Description Duta Villa, Setia Alam New 3 Store. Property Description #klprop.com Call FEISAL 019-393 69. Property Description @ This is a Brand New Semi-D newly. Property Description LUXURY Villa HOMES IN KLS MOST EXC. Property Description Villa Green 3 sty super semi-D Tro. Property Description VERTICAL II @ BANGSAR SOUTH ++ DEV. Property Description Villa Manja 45x90' for SALE..! - R.
Property Description For Sale: Idaman Villas @ Tropican. Property Description [NADAYU TAMAN MELAWATI] NEW BUNGAL. Property Description Bank Lelong / Auction Property Auc. 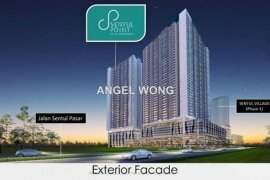 Property Description Trefoil FREEHOLD LUXURY SOFO 791st.